This post was started shortly after Harvey and hadn’t finished it but felt that it was important for so many reasons and decided to finish it. People need to understand the severity of the words we speak. Among the many things I’ve learned during and after Hurricane Harvey, is the power of words. The words that you choose to allow to leave your lips can make such a huge impact. Sure we hope that our words are said to empower someone, make their day better or just make someone smile, but sadly it just isn’t the case. Within literally the first month of the disaster, I was thankful to hear that I had so much support from friends locally but also those who never met me from across the country. It was wonderful having that support by just having someone “be there”, help out, send thoughts and prayers and a shoulder to cry on. However, the random statements that didn’t feel to help or better the situation and then the hurtful ones literally broke me. I know that we need to focus on the good, consider the source or not let words hurt you, but dern it, it’s hard. I’m sure so many people just couldn’t imagine what things people hear that are going through rough times or such major devastation, but we need to be more mindful of the power of our words, in our every day lives and our business so thought I’d share a few here. Let’s be clear, yes, I am now in a new house, but I would trade that to be back to the house and situation prior to Harvey. But it still baffled me that people would say these things. I get that folks want to say something, or don’t know what to say.. and think that the things they are saying are “looking at the bright side” but when something so traumatic occurs, maybe we need to think twice. I fully believe that most people really want to help and uplift others, but when in a loss of what to say, just say the dumbest things. Look at it this way, if your mother were to pass, would you say, well at least you have your father? Oh hell no you wouldn’t. So sometimes taking the high road by pulling the positive out of it might not always be the best thing, if you look at it that way, right? I also believe that some situations are something that nobody would ever have to go through, so couldn’t even imagine the feelings of that person, so they are just trying to help, but consider what you are saying if YOU were in that situation. Would that be the right thing to say to you? Everyone grieves and deals with things differently. So, maybe how you deal with things is not the way that another person deals, which makes “what to say” to them even harder. So maybe just give them time and be there for them by letting them know just that. Maybe after a period of time, you can ease into other things.. but you don’t have to speak epiphanies in order to be a shoulder of support, so consider that. Maybe those that are hurting just want to be mad, vent, cry, scream, have moments of weakness and/or have their little pity party.. and they deserve that, so let them. As long as these outcries aren’t forever or inflicting long term pain and suffering, let it be. Maybe there is no solution and maybe you can’t fix it.. but you can be there to support them and you don’t have to say much. Your actions will speak for you. 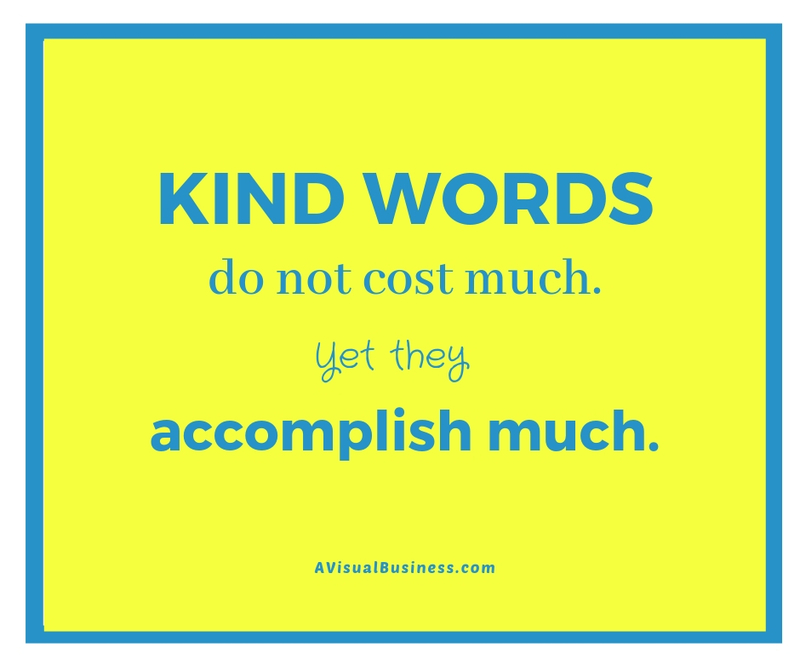 Around this time, I had seen a post from Kim Garst, a social media influencer and friend, who said “I know there is power in words but sometimes when I see someone struggling, words just seem a bit useless. Have you ever felt that way?” And I thought.. oh my gosh… YES.. not only on the receiving end, but to friends that were suffering just like me. Because believe me, some had it worse but many had it better and that was their response when I asked how they were. They said, not as bad as you, like it didn’t give them the right to complain. As I would reply to them, this isn’t a competition of suckage and it’s okay to vent, to cry, to be mad, to be sad… but know you aren’t alone, and I am here if YOU need anything. So, if it feels useless, maybe you don’t have to say anything. Maybe just letting someone know you are thinking of them and here for them if they need something is enough. Maybe following up with that person in a month or week or more will reinforce to that person that you have been thinking of them and maybe that is now the time they are ready to talk or to accept help. Shouldn’t need too much explanation here but remember that how you treat people, is likely how you treat your customers, your potential clients/customers, your vendors, your business associates and fellow business owners. 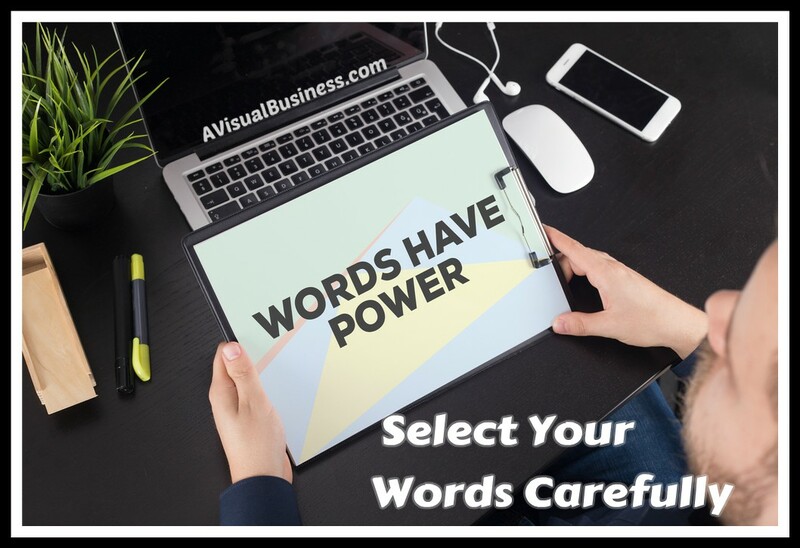 Be sure you are speaking for yourself and your business well. But remember, once those words leave your lips, they are out there, it is done, there are no take backs and they can and may likely impact that person for the rest of their life. Imagine that. What if you knew that something you said to someone was the one thing that they’ve held onto the most… wouldn’t you want that to be something wonderful? Keep that in mind. We are in a world that is constantly changing and more hate and discontent in the world, we need to stick together and build each other up more than we tear them down. 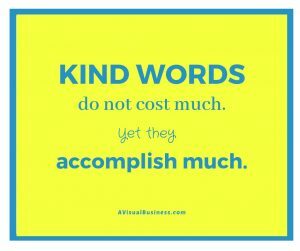 Use your words for good! Be well, be wonderful, be wise! « The Proof is in the Puddin’ – Are You Eating the Pudding?